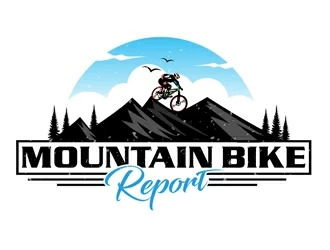 Here are the results of the research I did to come up with the best mountain bikes for big guys. I was able to find heavy riders who actually rode these bikes and found out what they thought of them. They are numbered but they are all the best for bigger guys each with slightly different characteristics. The Mongoose Dolomite can handle up to a 384 pound rider. I found a rider who said he was 384 pounds when he started riding this mountain bike. He rode it almost everyday in order to lose weight. He lost more than 70 pounds by riding 14 miles per day. He thought the bike was tough. Another rider who is 6 foot 4 inches says he weighs more than 350 pounds. He uses it as a cruiser. The bike is durable and handles his weight no problem. A rider weighing 348 pounds when he bought it explained that the bike is still going strong. A 280 pound rider described the bike as handling his weight with ease. I have found that a lot of bigger guys use the Mongoose Dolomite to lose weight. One guy was 260 pounds when he started to exercise with it. At 5 foot 9 inches, he is now only 210 pounds, losing 50 pounds. He has seen heavier guys on the same bike. Riders have found that the tires are made to handle bigger guys. They say getting a wider seat is helpful. Make sure the brakes and gears are properly adjusted. If you have big hands, then it is a good idea to use older style shifters. Sometimes you might accidentally shift gears when you don’t want to. This fat bike is great for heavier guys because it is made of high tensile steel. Even a guy at 6 foot 5 inches and 350 pounds rode it with no problems. The Mongoose Dolomite has 26 inch wheels and 4 inch wide tires. The wide width enables the bike to be very stable especially for bigger guys. The tires are also knobby giving the rider more grip. You’ll be able to ride over rough terrain easily and comfortably. Heavy guys need to make sure they stop safely. The Mongoose Dolomite has front and rear disc brakes. It slows down smoothly and securely. For more control you can feather the brakes. Shifting gears is simple because it uses twist shifters. This enables you to shift gears fast so you can get to the speed you need when you need it. You have the choice of using 7 speeds. Bigger and heavier riders will particularly like this bike because this bike is a little heavy. This is because it was not made for competitions, but for enjoying mountain biking on all types of terrain. The Mongoose Dolomite is easy to put together. You don’t need to have any past experience putting together bikes in order to be up and riding quickly. The Schwinn Protocol 1.0 can handle big guys who weigh up to 300 pounds. I found a guy who owns this bike and weighs 300 pounds. He did have a problem with it while going up a small hill. As he was pedaling up this hill the chain broke. The chain seemed to cut right in half. This happened after he bought it and on his first ride. But he must have just gotten a bad chain. Because after, he just brought the bike to his local bike shop and got a new chain. Ever since then he has not had a problem. He rides both on-road and off-road. Another guy, 6 feet tall and 290 pounds uses it to do light off-road riding. It is a good idea to adjust the rear suspension almost to the end to reduce any sag. For a more comfortable ride it is helpful to raise the handlebars and use riser bars. The Schwinn Protocol 1.0 is a 26 inch bike which has dual suspension. This is perfect for big heavy riders who need support for their size and weight. Dual suspension helps to improve the smoothness of the ride and increase bike handling. This mountain bike is designed with a steel rear triangle and the dual suspension frame is aluminum. This frame allows you to handle all types of terrain while maintaining a high performance ride. You can shift gears fast, accurately, and smoothly. This mountain bike has Shimano EF-50 trigger shifters. Together with the Shimano Altus rear derailleur you will be guaranteed power and control on various types of trails. Getting to the right speed and gear is simple because you have 24 speeds from which to choose. Being able to slow down and start again is very important for bigger guys because of their heavier weight. This bike has high quality tires and rims. Traction is excellent for all terrain and conditions. The tires are knobby for greater grip. The alloy rims are double-wall for more strength. Don’t worry about skidding or sliding with all this extra traction. In order to get the most out of the Schwinn Protocol 1.0 you may want to change the saddle to one that is most comfortable to you. Be sure to adjust the seat and handlebars for your height because this will effect how well the bike supports your weight. The only downside is there is no place to hold a hand bike pump or a water bottle. In this case you can use a backpack to carry water easily. The Beiou Carbon Fiber mountain bike can support riders which are big and heavy up to 330 pounds. A 6 foot guy at 220 pounds said the frame feels very good. The front forks should be fully loaded to its top pressure which is 100 pounds. By locking them out riding aggressively is possible. One rider has been using this bike for 3 years without any problems. He is a 215 pound guy. He rides through all types of terrain. Carbon fiber is among the lightest materials used for mountain biking if not the lightest. The latest carbon fiber technology is now more affordable and stronger. Heavy riders can enjoy a lighter bike, but also one which can handle the added weight of bigger guys. The carbon fiber used is Toray T800, this fiber increases the flex towards the back of the mountain bike making it last longer and gives it more shock absorption. The frame only weighs 24 pounds or less but yet is still able to use durable components. Also made of carbon are the seatpost and the handlebars. This keeps the overall weight of the bike lower. For maximum speed and efficiency this model 650B uses top of the line gear and drivetrain systems. Shifting is easy and quick using its Shimano Deore 610 shifter. Using 30 total gears, shifting to the right gear is very accurate and simple. The wheels of the Beiou are 29 inches. This size is great for cross country and trail riding. 29 inches wheels are also good for supporting heavier riders when compared to a 26 inch bike. The tires that come with the mountain bike are Maxxis tires which have a tread that is patterned for speed and grip. There are knobs on the tires, but not too many knobs so that you lose speed. For bigger guys get the 19 inch frame version. With this version it is equipped with Tektro HD-M285 hydraulic brakes which give you increased stopping power and control. Unlike some of the other bikes, you will not need to replace the saddle because it is comfortable. The handlebars will feel comfortable and durable enough to support your weight while maintaining good bike performance. For bigger guys with more money to spend for speed the Beiou 650B is a good choice. You will go faster on cross country and singletrack trails. The Merax Finiss mountain bike can handle big guys who weigh up to 330 pounds. I found one guy at 6 foot 4 inches and 270 pounds, had no problem riding the bike on or off-road. The only difficulty was when he got on very rough terrain. He solved this by getting 29 inch wheels. The rougher terrain was now easier to roll over. A 6 foot tall guy at 235 pounds found the Merax Finiss to be fine for him. The only change he made was to adjust the height of the seat. Even a 13 year old kid rode the bike who weighed 200 pounds found the bike to be good. He only needed to adjust the brakes and the front fork. This mountain bike is fitted with magnesium alloy wheels. It can handle heavier riders even though they are not made of steel. This is actually very good for big riders because now you can go faster while using less effort because magnesium alloy wheels are lighter. You’ll be able to go faster than other big guys who are on steel bikes. The shifters and the levers on this bike plus the front and rear derailleurs are made by Shimano. Shimano is known for their quality so you’ll be able to shift 21 gears with ease and no chain slipping. The front and rear brakes are mechanical disc brakes. This ensures safe and smooth stopping power. Plus you don’t have to mess around with bleeding the brakes like you do with hydraulic brakes. The frame is made of aluminum. It is not as hard of a metal as steel but it is lighter so you can go faster. But what is done, is the frame is heated before being sent out. This secures the molecular structure of the frame so that it lasts longer and is more durable against impacts. Heavy guys who want to ride on rough terrain will be happy to know the Merax Finiss is equipped with a lock out suspension system. This will help to absorb any high impact bumps such as rocks and roots. This bike has quick release hub and axles. So if you want to switch out your tires for a bigger size like 29 inches then this is easy to do. When going over rough terrain the front forks compress 75mm. So it will be able to absorb the rocks and roots while supporting your weight. Along with the magnesium wheels being lightweight and strong, the tires are knobby for extra grip. Once you get this mountain bike, it is easy and fast to put together. You don’t need any tools such as a screwdriver or a wrench. Just connect the bike parts together. The Mongoose R2780 Impasse can handle bigger and heavier guys up to 375 pounds. I met a women who explained that her fiance was 6 feet 2 inches and weighed 375 pounds. She said he liked the bike and was fine riding it. I don’t know where he rode it, but it worked for him. A guy who weighed 285 pounds said he does not have any trouble with the bike. When he rides it he feels stable and secure on it. Another rider who is 6 feet 3 inches and weighs 260 pounds used this bike. He described the bike as strong and durable. Plus he thought it was lightweight and good for trail riding. The wheels of the Mongoose R2780 Impasse are 29 inches. This is good for big guys because then you will be able to roll over rocks and roots more easily. Rocks, roots, curbs, logs, and anything else will make contact with the tire at a lower level. Making contact with obstacles lower on the tire makes it easier for the tire to go over it. Plus heavier riders will have more momentum once they get going forward. You can choose to shift gears from among 21 speeds. This allows you to really dial in on the most precise gear that you need depending on the situation you are in while on the trail. Bigger guys who are also heavy will find this bike to be fast and easy to handle. This is because the frame is made from aluminum. The aluminum suspension frame ensures a solid yet lightweight structure. Lots of bigger guys like to lose weight by riding a mountain bike. This means they need to ride a long time. Sometimes as much as 15 miles in one day. With this type of long riding, dual suspension is needed. This Mongoose R2780 has dual suspension. Dual suspension improves bike control for the rider. Fatigue is reduced because the bike is able to support the rider while absorbing bumps and shocks on the trail. As we know the tires are 29 inches, but also the tires are 1.95 inches wide. If you want wider tires this is easy to do. This bike has both front and back 5mm quick release skewers. So changing tires is a snap, literally. The rims are single wall, and the brake handle is metal. Pumping up the tires is easy because they have Schrader valves. This is the same valve a car has, so you can go to any gas station and use theirs. The Schwinn S29 can support big guys who weigh up to 300 pounds. One guy told me he is over 300 pounds and has no problem riding the bike. Another guy who weighed a little less but still heavy at 297 pounds was fine with the bike. He was even able to ride off-road on singletracks and smooth trails. A tall and big guy had no issues. He was 6 feet 4 inches and 270 pounds. He said the mountain bike rides great and was perfect for exercising so he could lose weight. This rider also mentioned he would not try any stunts like a wheelie or going over jumps. He was happy riding on-road and on flat smooth trails. The suspension of the Schwinn S29 can be a little bouncy because the suspension can not be locked out. It can be adjusted though, but stay on the trails that are not too rough. The frame of this bike is steel which is very durable and strong. You don’t have to be concerned about it not supporting your weight. In fact steel frames are the best option for heavy riders. I would suggest that you choose a seat which is cushioned in order to improve your riding comfort and absorb some of the shocks. Fortunately even though the frame is steel which is heavier than aluminum it does have dual suspension forks. This helps to protect the bike and rider from severe impact such as rocks, roots, and logs. It also helps the rider have better control over the bike because it remains stable as you go over bumps. Balancing out the heavy steel frame are the 29 inch wheels. The wheels are made of magnesium alloy which are lightweight. These larger 29 inch wheels help you travel longer distances with less effort. 29 inch wheels go over small obstacles more easily and are better for taller bigger guys. The rubber of the tires is thick so there is less risk of getting a flat. While riding uphill, downhill, or on a flat surface you’ll be able to choose the perfect gear for maximum speed and power. The Schwinn S29 has a SRAM 3.0 rear derailleur and front derailleur. Its speed trigger shifting allows you to change gears quickly and easily. No slipping chains, or breaking your chain. This mountain bike has a lifetime warranty compared to many others which have a limited warranty. It weighs around 47 pounds, so it is made for big strong guys. You can switch out the rear tire easily using the quick release lever. The Gravity Monster fat bike can support big riders which weigh up to 330 pounds. I spoke to a 6 foot 6 inch rider at 300 pounds. He had no problems and felt the frame was very sturdy. Another big guy at 228 pounds explained that the bike feels very strong and durable as he rides it. This is because he has gone down steps and jumped curbs without any problems. A guy at 6 feet 6 inches and 250 pounds rides this bike pretty rough on the trails. He also rides his bike to work each day. On the way he goes over a drop off of a 3 foot wall. He says the frame can handle it. But he should be careful of the rims. The Gravity Monster comes with 26 inch tires which are 4 inches wide. This will give you great traction to go over any kind of terrain such as sand, snow, and loose dirt. This bike can handle 4.5 inch tires if you want them wider. If you are concerned about such wide tires being slow, don’t. To go faster just increase the psi of the tires. Remember fat bike tires are also tall even though they may be sized as 26 inches. You get some of the same effects as you would a 29 inch wheel. Such as rolling over small obstacles more easily than a standard 26 inch wheel. The one downside to wide tires is wind resistance. If you go out riding on a windy day those wide tires will catch the wind. But on a calm day you can probably roll faster than regular mountain bikers with less effort. This is great for bigger guys. The Gravity Monster has an aluminum alloy frame. It is lighter than steel but also durable. Aluminum handles and absorbs impacts better, and gives the rider better performance. Stopping on a bike with fat tires is important. This bike has Tektro Novela disc brakes which enable you to slow down powerfully and smoothly. The Gravity Monster has a drivetrain that gives you 16 speeds to choose from. It uses Shimano Alivio/SRAM derailleurs and EZ-Fire shifters. Big guys will enjoy the alloy riser handlebars which bring riders closer to the handlebars. This helps to distribute body weight more effectively. For riders with larger feet this bike has large platform pedals. This allows you to really push off your pedals from a stable foundation. Surprisingly this bike is fairly light at 35 pounds. Powerful pedaling and momentum will take this bike and its rider easily over all types of terrain. The Mongoose Hitch can support heavy riders up to 300 pounds and more. I came across a guy who rode this bike and was around 300 pounds. He had no problems and just inflated each tire to 100 psi. Because the frame of this bike is steel it can handle very heavy guys. Two other big guys I found were 345 ponds and 350 pounds. Both felt the steel frame held them just fine. Another guy at 280 pounds said he rides his Mongoose Hitch on pretty rough trails and everything seems fine. This bike weighs around 40 pounds, so it is pretty heavy duty. No wonder it can handle bigger guys who weigh more than 300 pounds. The Mongoose Hitch has 26 inch wheels and each tire tread is 4.25 inches wide. These tires also have knobs on them for maximum traction and grip. With 4.25 inch tires and knobs on them, you will have no trouble going over snow, mud, sand, and loose dirt. For heavy riders this will be even easier because the added weight in combination with the knobby tires will enhance the gripping power. You can choose from 7 different gears in order to get to the right speed you need. Because the bike is steel and a bit heavy you don’t need to be precise when choosing a gear so 7 gears is enough and it keeps riding simple. Once you get going with all that traction and momentum, going through snow, mud, and sand, you will need to slow down at some point. This bike comes with 160mm rotary disc brakes. These disc brakes are on the front and rear tires providing smooth stopping power without any jarring stops. So no matter what speed you have accelerated to, you will be able to slow down safely and securely. The rims of the Mongoose Hitch are made of alloy. These rims are drilled and lined in order to increase the stability of the mountain bike. Shifting through the 7 speed gear system is quick and smooth. The rear wheel uses a Shimano derailleur which ensures high quality shifting. No stuck chains or slipping. Low rise handlebars are part of the bike. This enhances your comfort and body position. If you are solidly 300 pounds this is the bike to go with. It is made of steel and has bike tires which are wide. That is what you need for heavy riders. The Kawasaki Sumo fat bike can handle big guys who weigh up to 330 pounds according to the manufacturer. I found a 215 pound guy at 6 feet 1 inch who liked the bike and rode it on all kinds of trails. Two hundred and fifteen pounds may not be that heavy for some. But I am confident the Kawasaki Sumo can handle 300 pound riders. Mainly because the wheels are 26 inches and are 4 inches wide. Four inch wide tires enable you to fill up the tires with 100 psi of air for each tire. With each tire filled up to 100 psi, that is 200 psi of support that you have under you. Along with the fat tires for support there is a strong aluminum diamond frame with a u-bridge ridged fork. This gives you maximum stability and support. Aluminum is lighter and not as rigid as steel so you will have more shock absorption with aluminum than with steel. The Kawasaki Sumo gives riders the ability to really dial in on the right gear to shift into. This is done with its 21 speed Shimano EF-51 trigger shifters. Twenty-one gears may seem like too many gears but after some riding experience you will figure out which gear gives you the most power and efficiency depending on the incline or decline you are on. You also will be using 170mm aluminum crank arms for maximum pedaling power. The pedals are nylon pedals which are a very strong light material. Pulling you along as you pedal is the KMC Z50 chain. The teeth of the chainring fit securely into the chain so as to reduce any slippage. After so much pedaling power it will be time to slow down on occasion. This bike has front and rear Promax disc brakes and brake levers. You will stop smoothly and securely on all types of terrain. Bigger guys generally have bigger hands, so sometimes riders may switch gears accidentally. Fortunately the Kawasaki Sumo comes with handlebars which have two thumb dials which let you change gears easily and when you want to. This bike is easy to upgrade, many riders have changed the seat to a more comfortable one as well as the pedals. Both are easy to remove and then add the new seat and pedals. You can also upgrade the tires so they have more grip by adding studs. The Framed Minnesota Ltd fat bike according to the manufacturer can handle bigger guys that weigh up to 300 pounds. I was not able to find any big guys to talk to who rode this bike. But this is a fat bike and they are made to handle heavier riders and rough terrain like snow, sand, rocks, roots, and mud. The frame of this bike is made of hydroformed 6061 aluminum alloy which is lighter than steel but still durable. This frame is able to handle up to 4.5 inch wide tires. Tires that wide offer maximum stability and support as well as superior traction on the trails. The frame has been updated in order to accommodate a new geometrical design. The rear thru axle is 177 by 12mm which improves control and increases the responsiveness of the ride. If you want to improve the suspension more than it already is the head tube is tapered in order to accept any fork upgrades that you want. No matter what type of mountain biking you are doing slowing down smoothly is important. Any sort of braking which causes a jerking motion can cause you to skid or be thrown from your bike. This is especially true of heavy riders. Two hundred and three hundred pounders require a controlled slow down. This is why SRAM hydraulic brakes are ideal. Using hydraulic brakes allows the rider to modulate the braking power much more accurately compared to mechanical brakes. Hydraulic brakes push the brake pads closed which is much easier to control. Mechanical brakes pull the brake pads closed using cables. Cables can become stretched and lose their effectiveness more quickly. The Framed Minnesota comes with a Velo S2 seat which is very comfortable. Unless you have a favorite seat you are in love with, you won’t need to change the saddle. But you still might because everyone is different. The chances of needing to change are lower with this bike. The wheel set of this bike is Alex Blizzerk tubeless ready. The wheels stay straight and true even after going over rough terrain. Biking on the side of hills did not cause any spin outs or sliding, so the tread and grip is good. If you want, the tires can have studs added for more gripping power. If you are a big guy and want to power through the trails on fat wheels with studs on them, then this is the mountain bike for you.